Congratulations to the England team on achieving a silver medal in the World Team Championship which concluded in Astana today. With two rounds remaining, there were hopes of a gold medal but while Russia maintained their position in first place with a win over Sweden, England lost 3-1 to China so a silver was the best we could hope for. That still depended on results in the final round and what drama there was….England were in third place on board points going into their last match but faced potentially easier opponents in Sweden whereas India had to play Russia. A win for England would secure second place unless India beat the hitherto unbeaten Russians. First to finish for England was David Howell who had an excellent tournament, winning and drawing four and losing only to our good friend Wei Yi in the penultimate round. Howell gained a small advantage early on and built on that. After 39…e4?, while the game was already lost, Howell now had mate in 7 but after 40. Bxg7 Kg8?? it was mate in one which I guess you don’t often see at the top level. Michael Adams finished on 3½/9, disappointing by his standards but he was after all on board 1 and therefore always playing the strongest opponents. His game was level for a long time but after 32…e5 he was ‘much better’ and six moves later he was ‘winning’ and he duly won after 47 moves. Gawain Jones on board 4, like Howell also had a very successful tournament with only one defeat in the match against India. He was ahead from an early stage in his game today and the way he converted a slight advantage of an extra pawn but with opposite coloured bishops into a winning position is a lesson to us all. On board 2 Luke McShane had an excellent tournament, finishing unbeaten with three wins and six draws. His final game was equal for a long time, especially after most of the major pieces were exchanged. In the final position he was ahead but a draw was sufficient once a 3-0 lead was established and a win for England confirmed. What was especially impressive was that McShane had made the long journey to Kazakhstan from Germany where he had recently been playing in the Bundesliga. After Round 4 he gave an interview to the tournament organisers in which he explained how much he was looking forward to the rest day! McShane’s draw gave England a convincing 3½-½ victory but second place was not yet confirmed. After draws on boards 1,2 and 4, India needed to win their last game to beat Russia. No doubt it would be doubly satisfying for Jones if Alexander Grischuk could hold out for at least a draw because his opponent was S.P.Sethuraman, who beat Jones in the England-India match. Having won a pawn early on, Grischuk appeared to be in a strong position. As the clock ticked away, however, he seemed to be making little progress but a draw would be enough for England. He then sacrificed his extra pawn and after 60…Re7 he was winning. As with the other games, converting a winning position into victory was a masterclass in endgame play and Sethuraman resigned after 85 moves. Defeat for India was doubly disappointing as a win for China enabled them to overtake India and so the team which had hopes of a silver medal with one board to go could only finish fourth. 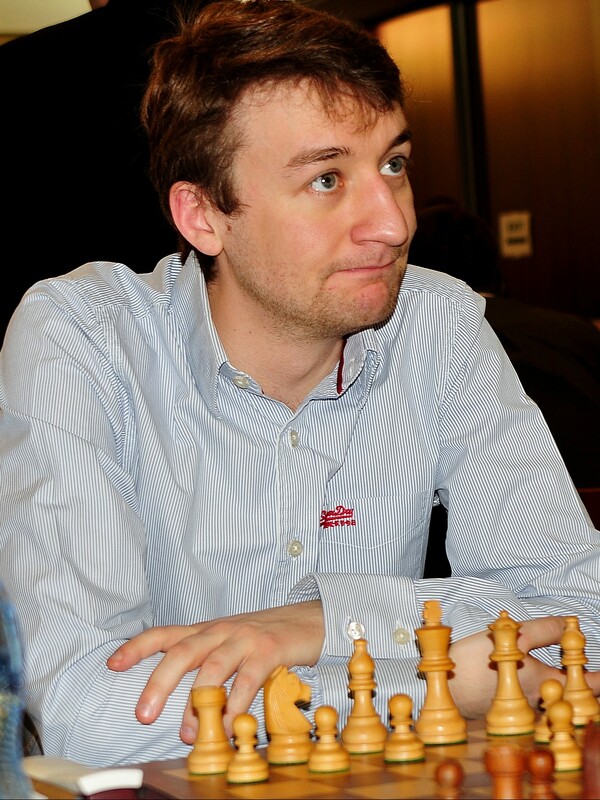 One suspects that the entire English team must have queued up to shake Grischuk by the hand. A silver medal in the World Team Championship is a tremendous achievement for England and it is to be hoped that it is given the acknowledgement it deserves. Apart from the players – and that includes Jon Speelman as reserve – Malcolm Pein, who has done so much for British chess in recent years with the emergence of the London Chess Classic and the Chess in Schools and Communities initiative, deserves enormous credit for managing to raise so strong a team in such a short space of time. During the tournament he gave an interview to the organisers in which he touched on the difficulties England faced. Once again, congratulations to all involved and it will be interesting to see what publicity England’s performance receives and whether it has any effect on promoting chess in this country and, most important of all, gaining financial support. Stop Press: England also won three individual medals – McShane Gold, Howell Silver and Jones Bronze. Well done, indeed! 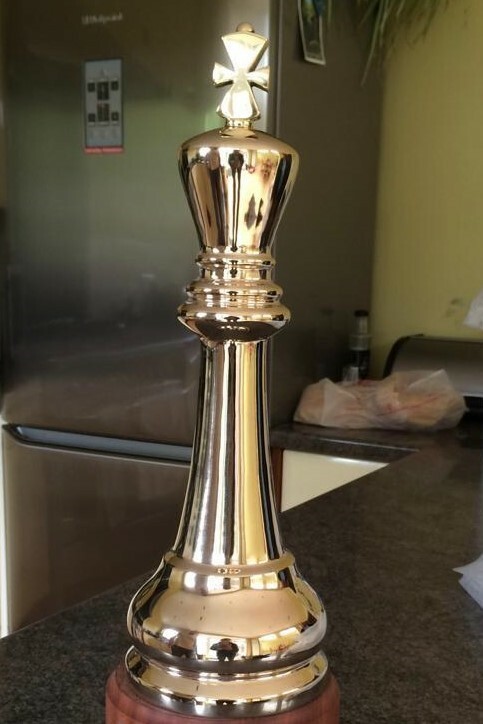 This magnificent trophy is one of five made by John Couzens as part of the celebrations for the 50th Thanet Chess Congress that takes place this summer from Friday August 16th to Sunday August 18th. One will be awarded to the winner of the each of the five sections and will be the winner’s to keep. For a golden anniversary it is fitting to have an (almost) gold trophy and this six-inch solid brass king is a unique prize that won’t be repeated for another fifty years. And for those pedants who say five trophies cannot be unique, it is nonetheless true because each one will be engraved with the name of the section so all five are different and, indeed, unique. To win one of these trophies all you have to do is go to the congress website www.thanetchesscongress.co.uk and enter online….oh, and then you have to turn up and play well. We are hoping that some of those who played in the first congress in 1970 will return and a few have already announced that they will be playing which is excellent news. If anyone reading this knows someone who played in that inaugural Thanet Congress, please draw their attention to this and even if they are no longer playing, it would be wonderful for them to come and meet others who played to exchange stories and renew acquaintance. We have all the results of the first congress together with a few photos and press cuttings and these will be on display for all to see. Entry in 1970 was £1 for adults and 10s for U17s and the first prize in the Premier was £30 which was a tidy sum and while we can’t promise a first prize of thirty times the entry fee this year, £350 is still a worthy reward. The titles of SCCU Champion and Kent Open Champion are up for grabs for those who are qualified and there is also, of course, a unique gold(ish) trophy that even Magnus Carlsen could never win – unless he enters the congress, of course, and even then he has to come first. Entry is free for GMs and IMs so if Magnus wants to enter it won’t cost him a penny. All the information can be found on the congress website and it is advisable to book early. The FIDE World Team Championship which began on Tuesday is a 10-team round-robin tournament that takes place every two years. This time it is being held in Astana, the capital of Kazakhstan. The teams participating represent – as I understand it – ‘the ten countries whose chess federations dominate their continent’. However, as this information was gleaned from Wikipedia, I am in no position to guarantee its accuracy, especially as there does not appear to be a representative from South America. It is possible that a team was invited and declined to take part as top players may already be contracted to play elsewhere. This was the case with Poland, bronze medallists in 2017, who chose not to play as the date was confirmed too late for some of their players. Other teams who agreed to take part are not at full strength for the same reason e.g. India are without Anand and the US team is at best a B team with no Caruana, Nakamura, So or Shankland. The English representation is a strong one: Adams, McShane, Howell, Jones and Speelman with Malcolm Pein as captain. Matches take place on four boards, with two match points for a win and one for a draw. After five rounds England are handily placed in third behind Russia and India, both of whom they have played and drawn 2-2 as they did with the USA who are in fifth place. Russia, who are now the favourites to win, still have to play India (in the final round) and the USA while England’s toughest match is against China in Round 8. China, who won the tournament in 2015 and 2017, were probable pre-tournament favourites, especially with a team featuring Ding Liren, Yu Yangyi and Wei Yi, but defeats to Russia and the USA leave them in sixth place. English scores at the half-way stage are Adams 1½/5, McShane 3½/5, Howell 3/5 and Jones 3/5. Today is a rest day and the tournament resumes tomorrow (Monday) and finishes on Thursday. 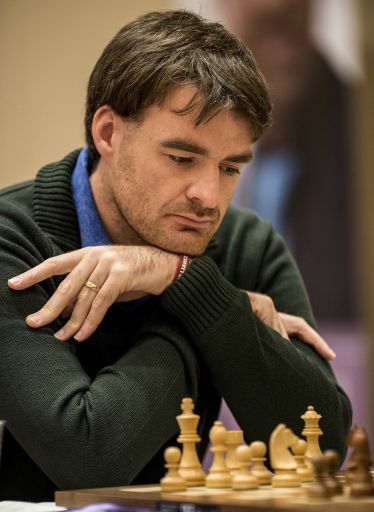 The American victory over China was a major surprise considering the relative strength of the two teams and with three of the four boards drawn, the match-winning result was the victory for Aleksandr Lenderman on board 4 over Ni Hua. The key move was 29….f6! but even after White was forced to give up a knight, the game still had to be won. Lenderman, however, kept his cool to secure a famous win for the USA and probably scupper China’s chances of a hat-trick of World Team gold medals. A very strong Broadstairs team retained the Hargreaves Shield in their final Hargreaves match of the season and in so doing maintained a 100% win record beating both Bridge and Folkestone home and away. In truth, Folkestone were always going to be up against it. Defaulting on board 4, they were 1 – 0 down from the beginning and outgraded substantially on all boards. They did, however, benefit from being white on two of the three boards and all those playing white (including Michael White) got off to a strong start, none more so than Chris Stampe who was dominant from move 1 chasing his opponent’s knight around the board, and posing numerous threats before his opponent resigned, thereby maintaining his personal 100% win record. At 2 – 0 down, Folkestone still had an outside chance of getting a draw as they were on top on board 3 and had started well on board 1, gaining early material advantage. However, Richard won back a piece and with solid play recovered well from a less than ideal position to comfortably win and secure the points and a match win for Broadstairs. The final game to finish was on board 3 where from being two pawns down, Gary rallied in the endgame to win the pawns back before agreeing a draw with his opponent who had played a very good game throughout. Editor’s note: The Hargreaves Shield is the third trophy won by Broadstairs this season. The team was a strong one as Andy said but matches still have to be won. Well done to everyone who has played for the team this season – the four in this match together with Andy Flood and Michael Doyle. The tournament got off to an extraordinary start when a bomb scare early in round one forced all the players and officials to vacate the venue and wait for hours outside in the freezing conditions while the organizers decided what to do. Eventually, once the players were allowed back in it was decided to begin round one again the next day with an adjusted time control. This proved to be a stroke of luck for Kaido for he admitted afterwards that ‘my position was not up to much at that point’ . The rearranged first game became the first of his five victories and he finished it in style. In the position below it is Black to play. So, of the six players with ELO ratings above 2700, who was the top seed? Well, it’s our old – or not so old – friend, Wei Yi who, let’s not forget, is still only 19 although he seems to have been around forever. While it was no doubt disappointing not to win, he did manage to finish fifth with his only defeat to the eventual winner in round 7. He also played a couple of trademark sparkling games such as this one played in the final round.